Lean can be implemented in a technical way, for example by positioning the machines in processing sequence. Guus Cox, operations manager at Océ, compares this with using a bulldozer to push the waste out of the factory. This gives fast but temporary results, because the behavior of the people has not changed. It is far better to encourage the employees, to remove the waste bit by bit themselves. This takes much longer and it requires a lot of management attention, but the end result is much better. You will get a real Lean organization in which the people jointly solve problems, and help to improve every day. You will never need that bulldozer anymore. However, Cox faced a problem: Océ is a listed company. He had to deliver results fast, otherwise his ambitious Lean transformation would be called off prematurely. To this end, he chose for a Lean implementation in waves, starting with the actions which would give the most visible results. So, yet again the bulldozer like approach? No, from the beginning there was an essential difference. Everyone was encouraged to think along and come up with objections. Soon, the results became visible. 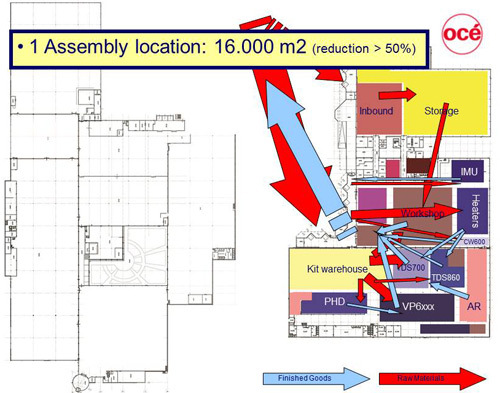 Océ now produces 20% more on 60% less floor space. The freed space was used to insource extra work. A story about sunrise meetings, soccer teams and a storm that does not die down. Our company has had a hard time in the past years, says Guus Cox, operations manager assembly at Océ in Venlo. In 2010, Canon took over Océ. However, that did not mean that the employment in the Netherlands was ensured for the future. 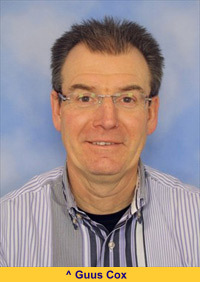 Cox remembered Marc de Jongh, consultant lean manufacturing at Q-Consult. ‘I asked him for assistance, but the real work we wished to do by ourselves. From the beginning I had a durable Lean transformation in mind. So not only introducing the Lean tools, but also creating the matching organization and culture'. However, in the long term you win a lot more. 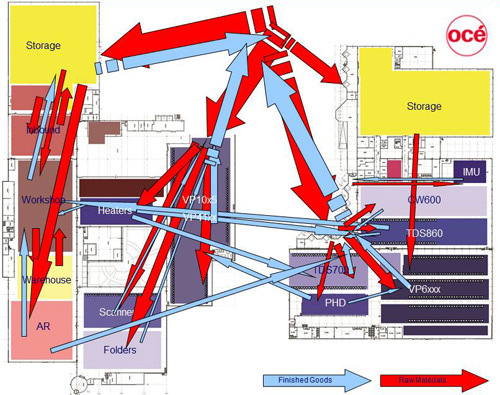 The strongly simplified factory layout after the Lean transformation. Half of the factory was freed for possible new production activities! The introduction of well-organized working places, by applying the principles of 5S. This reduces among others time that is wasted to search for things. The adoption of visual management, by way of improvement boards with Key Performance Indicators (KPI’s). Production meetings take place around these boards at several levels. The factory wide introduction of continuous and stepwise improvement, aimed at improving the KPI’s, for example by applying value stream mapping, 5x asking why and Poka Yoke. Further improvement of teamwork and leadership. Nevertheless resistance to change already surfaced during the first Lean wave. This could not be brushed aside in a bulldozer-like manner. That would have contravened with the goal of introducing Lean as a new way of life. 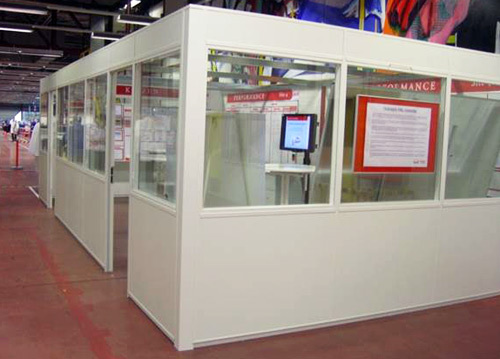 A typical example: Preceding the first Lean wave, a representative group of operators was confronted with an ambitious goal: A 60% reduction of the working space on the factory floor. 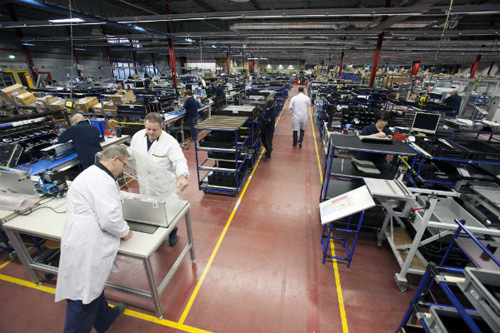 The assembly of the printers encompasses the steps pre-assembly, final assembly, adjustment, testing and packaging. 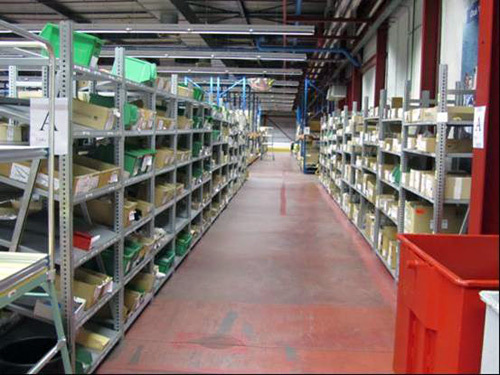 In the past, all inventory stood on the factory floor. 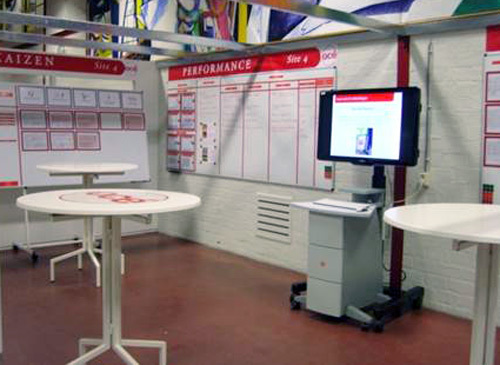 In the glass room on the factory floor, production meetings take place at three levels. There seem to be a lot of meetings. However, those are much shorter and more structured than before. As a result the number of meeting hours dropped by 20%, and the number of reports decreased even by 50%. This means that more time can be spend on process improvement. Having success is a reason to celebrate, for example by treating a sunrise team with pie after they completed twenty improvement initiatives. Every year those teams compete for the title of best improvement team, by presenting their results to the management.